In Vietnam, attitudes towards tattoos are shifting. 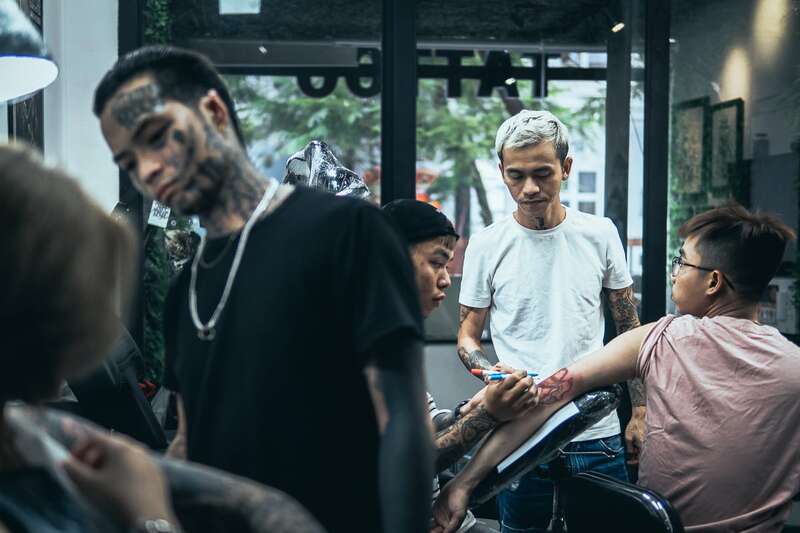 There are events like the Hanoi Ink Fest—the capital’s first tattooing convention—and Ho Chi Minh City’s Vietnam Tattoo Convention held in District 10 last year. 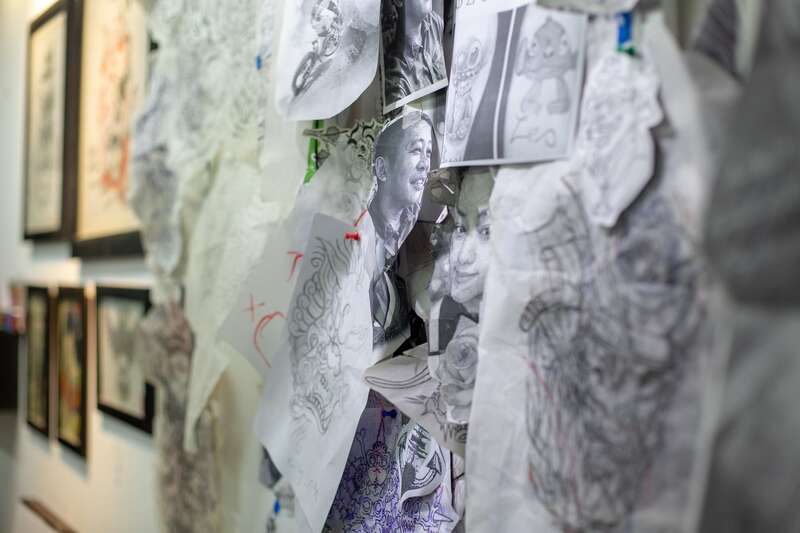 Locally, it’s artists like Seven Quoc Nguyen, owner of Spade Art Tattoo Studio, who are driving the evolution of the art. 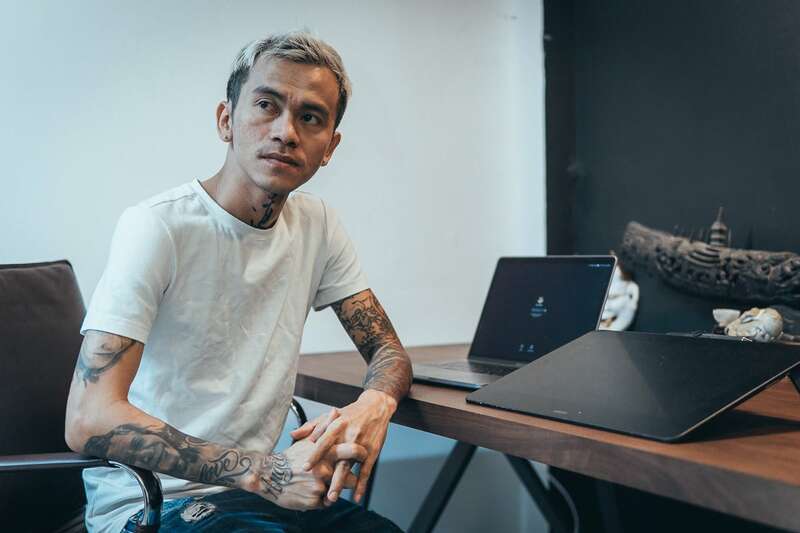 The former ”visualizer, designer, and art director” dropped out of the advertising industry at the end of 2013 to dedicate himself full-time to tattooing. 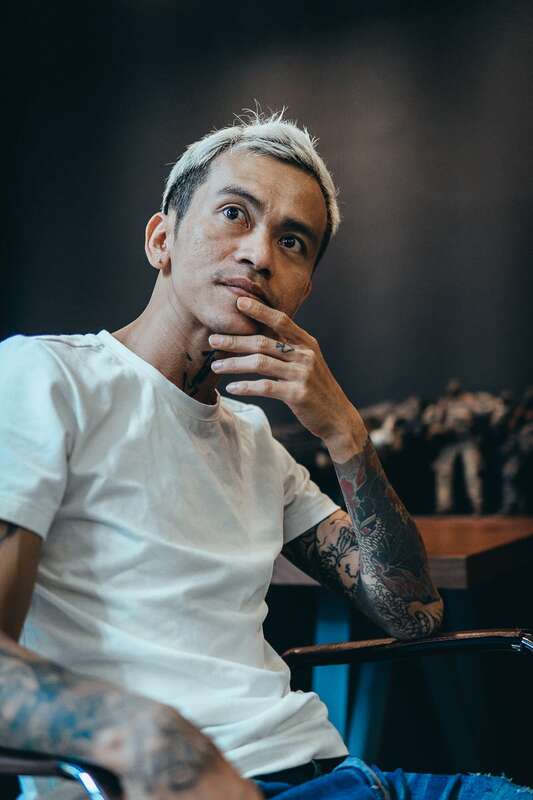 He organized his own event—the 2016 Saigon International Tattoo Convention—and opened his own studio in District 1. “Maybe it’s ridiculous…even reckless. 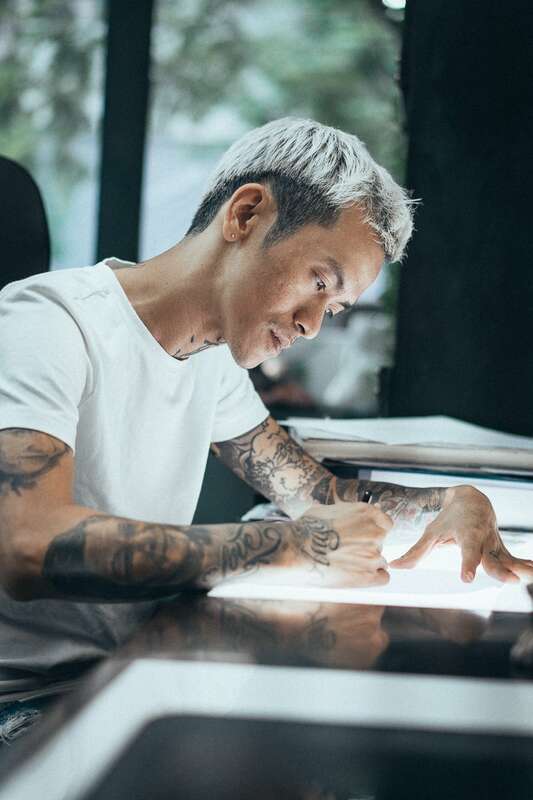 I had no reputation, and I dared to try to make this happen in the tattoo industry,” Seven Quoc Nguyen smiles. We’re in the Vietnamese tattooist’s Spade Art Tattoo Studio in the hotel district at 41 Le Anh Xuan between the frenzy of the Bui Vien backpacker area and the more refined environs of District 1. It’s a studio he shares with the young artists he’s nurturing—like Trump Truong, and Phuc Truong. As a Vietnamese tattooist, what’s distinctive about your tattoo philosophy? An artist should be a creative person—I think this is often misunderstood especially in Vietnam. True creativity means developing a style, rather than copying the work of other artists. All the money in the world couldn’t persuade me to imitate other people’s work. In fact, if someone asked me to copy an artwork, I’d tell them to go to another studio. Can you describe your process of creating a tattoo? What’s peculiar about your studio’s approach compared to other tattoo studios in Ho Chi Minh City? Customer satisfaction is my priority—that’s how I measure the success of what I do. Our approach is more like bespoke tailoring rather than ready-to-wear. The process is this: I sit down with a new customer. I ask them to share their ideas and reason for getting the tattoo. Once I deeply understand their story, I offer some advice and draft my idea that is unique to them. The sharing process is of utmost importance. It also helps build a bond and trust between us. Spade Art Tattoo Studio also has an Australian manager—Dean Porter—who helps explain our philosophy and ensure we understand our customers’ requirements—many of whom come to us from the States, Europe, and Australia. “As a kid, I’d draw on anything—objects, paper, even the walls,” Seven Quoc Nguyen remembers. How did you develop your visual style? Have you always had a passion for drawing and art? As a kid, I’d draw on anything—objects, paper, even the walls. For as long as I can remember, art has been my breath. When I grew up, I pursued my goals in the advertising industry just to satisfy my family, not for myself. Today, what gives me the most joy is receiving the appreciation of the customers at the studio when they look at my work. That moment when they praise my art is the gift that fuels me to continue my creative pursuits. What were the challenges of transitioning from one industry, advertising, to another, tattooing? As a freelance art director in the advertising industry, I supported companies like J. Walter Thompson and Dentsu. We worked with international clients like Panasonic and Pepsi. I was in the agency so long starting a business was completely new to me. The two industries—advertising and tattooing—are very different. Why did you choose the name Spade Art Tattoo Studio? I chose “spade” because of its strong graphic element. And spade is just the start. There are four suits in a pack—spades, clubs, hearts, and diamonds. I want to have a four spaces, with each space represented by a suit that serves a different purpose. Spade will be the studio, heart will be a tattoo school, the club will be a social club where artists gather, and diamond will be the tattoo supplies shop. How did you gather your crew of Vietnamese tattoo artists? How has your relationship with them developed? I treat the artists I work with at Spade Art Studio as brothers. I want to show their positive side to people, even though some of them have been through hard times. Tattooing was the only way one had of surviving—just to get instant noodles. I trained him further and suggested ways he might develop as an artist and a person. 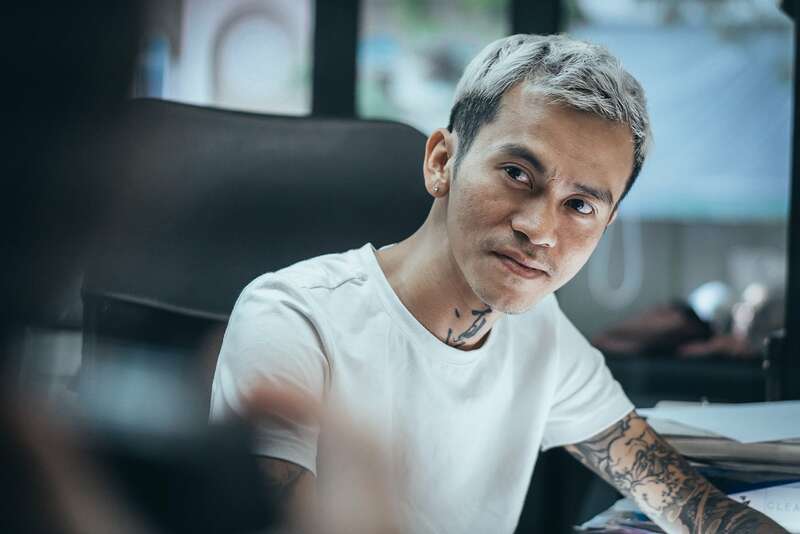 Seven Quoc Nguyen left the advertising industry in 2013 to focus on tattooing full-time at his Spade Art Tattoo Studio. Do you think Vietnamese artists can breakout onto the global stage? How do we currently compare to our international neighbors? Art has no borders. And artists from overseas aren’t better. But they do support each other extremely well. They have a community. In Thailand’s Siam Center, Thai products, to draw a parallel, are as prominently displayed as Western ones. It’s not the same yet in Vietnam. Which other international tattoo artists made the biggest impression on you? Three artists who I invited over for the convention really stood out. The Taiwanese-American tattooist Jess Yen, Japan’s Tomokazu Ikarashi of Silk Needle Tattoo, and the Taipei-based artist, Josh Lin. I have tattoos by both Jess and Tomo on my arms. We have to ask, how did you get the name Seven?